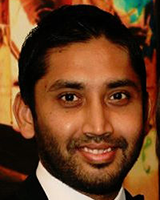 Ravin is an international development professional with over seven years of Programme Management and M&E experience with the UN and several leading INGOs in Sri Lanka, Pakistan and Afghanistan, and currently works as a consultant with ALINe. Ravin has worked on emergency response, early recovery and stabilisation programmes to strengthen government capacities and address socio-economic development issues impacting the most vulnerable and marginalised, in countries affected by acute and chronic conflict and natural disasters. Prior to this, Ravin worked for several years for management consulting firms in Sri Lanka, with a large portfolio of private and public sector clients across Asia and the Middle East.